HomeGold IRA BlogGoldWhy Do I Need a Custodian for a Self-Directed IRA? Why Do I Need a Custodian for a Self-Directed IRA? A self-directed IRA is one in which the account owner exerts full control over his or her investment choices. Unlike traditional IRAs that are limited to investments in securities such as stocks, bonds, and mutual funds, self-directed IRAs allow the owner to purchase gold, silver, real estate, and other alternative assets. 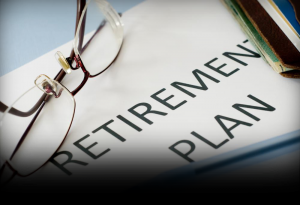 However, self-directed IRAs also require something ordinary IRAs and pension accounts do not: an IRS-approved custodian. Why is this the case and how do you choose one? Read on to learn more. Now that you understand why self-directed IRAs require an approved custodian and now that you know how to identify a good custodian, we encourage you to check out AmericanBullion.com where you can learn more about gold IRAs or chat with one of our precious metals experts about opening an account.